that Christ may dwell in your hearts through faith; and that you, being rooted and grounded in love, may be able to comprehend with all the saints what is the breadth and length and height and depth, and to know the love of Christ which surpasses knowledge. 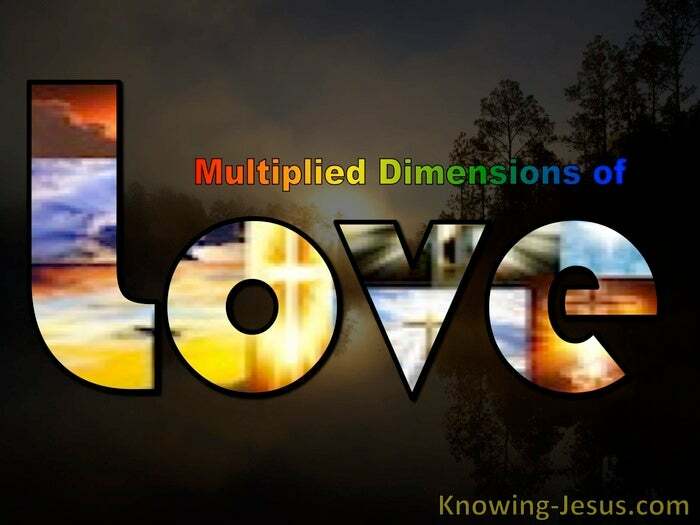 In the physical there are 3 dimensions of measurement – length breadth and height, but in his computation of Christ’s love Paul’s measure reaches into the unexplored. Paul in his enthusiasm for the Lord Jesus cites four : length breadth, height and depth. He desires that we know, understand and appropriate each element of the love of God. Christ became a permanent resident in our heart the instant we trusted Him as Saviour. His indwelling Spirit took up His habitation on the basis of faith in God’s Son, but the Spirit of God has an ongoing work throughout the rest of our life…by faith. We are saved by grace through faith but we are also to grow by grace through faith. The Spirit resides in the heart of all believers but as we grow He dwells in our hearts. When Christ dwells in our heart there is a special, mutual intimacy that develops and as Christ dwells in our heart a deeper communion is manifested. And like initial salvation that is also through faith – Christian growth is also by faith – for every aspect of Salvation is God’s gift of grace, through faith. The breadth of God grace reaches to embrace all who are saved by grace thru faith. The breadth of His grace encompasses all the redeemed of Christ : the saints of God – Jew and gentile, young and old, male and female – all people, climes and tongue. For He Himself is our peace, who made both groups into one and broke down the barrier of the dividing wall, by abolishing in His flesh the enmity, which is the Law of commandments contained in ordinances, so that in Himself He might make the two into one new man, thus establishing peace, that He might reconcile them both in one body to God through the cross, by it having put to death the enmity. He came and preached peace to you who were far away, and peace to those who were near; for through Him we both have our access in one Spirit to the Father.So then you are no longer strangers and aliens, but you are fellow citizens with the saints, and are of God’s household, having been built on the foundation of the apostles and prophets, Christ Jesus Himself being the corner stone, in whom the whole building, being fitted together, is growing into a holy temple in the Lord, in whom you also are being built together into a dwelling of God in the Spirit. The height of God’s grace reaches into heavenly places where we are seated with Christ. The height of God’s grace is found in Christ Jesus our heavenly Lord and King. But God, being rich in mercy.. has raised us up with Him, and seated us with Him in heavenly places in Christ Jesus – far above all rule and authority, power and dominion, and every name that is invoked, not only in the present age but also in the one to come – so that in the ages to come He might show forth the surpassing riches of His grace in kindness toward us in Christ Jesus. 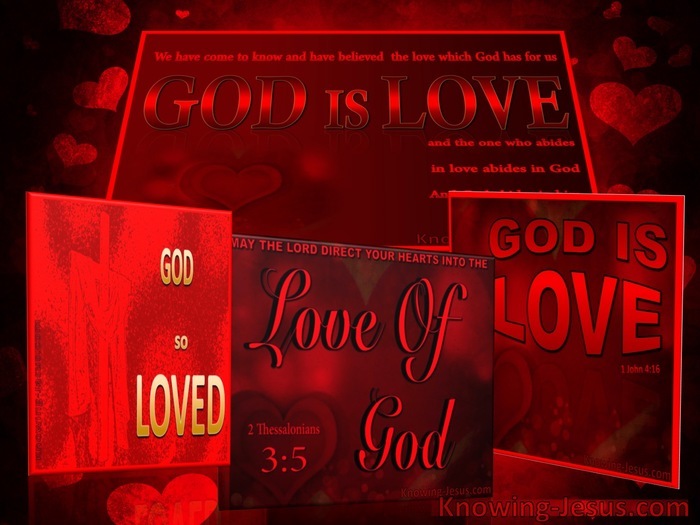 Let us rejoice in the BREADTH of God’s Superlative LOVE for God SO loved the world …..
Let us wonder at the Depth of God’s Superlative LOVE for God SO loved the world that He GAVE His one and only Son, that WHOEVER believes in Him shall not perish…. Let us praise our gracious God for the BREADTH of God’s Superlative LOVE for God SO loved the world that He GAVE His one and only Son, that WHOEVER believes in Him shall not perish but have ETERNAL LIFE. Let us worship our Superlative God for the multiplied dimensions of His love.